South Africans are no strangers to separation and divisions. Apartheid ripped the country apart, pitting one against the other. Even today, while celebrating our 20th year of democracy, some issues still remain. No one, though, could deny that we have come a long way from the day Nelson Mandela became the first democratically elected president in 1994. Germany suffered a similar fate to that of South Africa when the Berlin Wall was built on August 13, 1961. While it wasn’t racial segregation, people were also socially and economically separated—and in many cases, families were divided. But, like South Africa, Germany beat the system and 28 years after the first brick was laid, the Wall came down on November 9, 1989. Since this momentous event, Berlin has thrived as a city, with very little animosity still remaining. 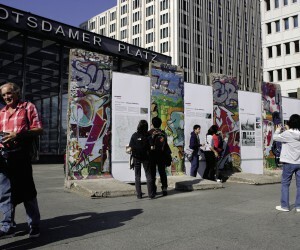 From 7 to 9 November this year, Berlin will be celebrating the 25th anniversary of the breakdown of the infamous Wall. 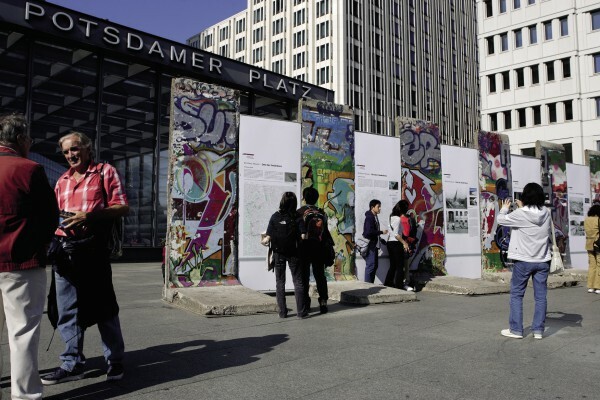 Explore SA sat down with Christian Taenzler, International Spokesman for visitBerlin.de, to find out more about the Wall, the upcoming celebrations and how Berlin has changed over the last 25 years. Taenzler says there was already a border built between East and West Germany in 1952, but it was still easy for people to cross the border and carry on with their normal lives. All that changed in “one night”, according to him, as the border was closed off with fencing before the Wall was built. “This led to many people losing their jobs and families because they couldn’t migrate across the border any longer”, says Taenzler. Daily life changed for many people and East Germany went backward for there—not only in terms of economics but also politics. However, he goes on to state that there is a “compensation fund from the government” for the families who lost loved ones. However, while there were unfortunate deaths in Berlin, Taenzler is very proud of the fact that the country managed to reunify without “a single shot fired” and in a “peaceful” way. Despite the tragic events, there was a silver lining for Berlin. On the weekend of 7 to 9 November 2014, Berlin will celebrate 25 years of freedom. From a city separated by a massive wall, Berlin has—over the last 25 years—become one of the fastest growing cities in the world. “Berlin is also a very green (ecofriendly) city, with many open spaces, parks, woods, rivers and lakes—44% of our surface is woods,” says Taenzler. Berlin, and indeed Germany, isn’t perfect, but much can be learnt from them on how they have risen since the Wall came down 25 years ago. Many lessons can be taken from how they have rebuilt the country. 9 November 2014 will be the celebration of these last 25 years—and while it will be an “emotional day for many Germans”, it is an opportunity for the world to celebrate the freedom and success of one of its brothers.